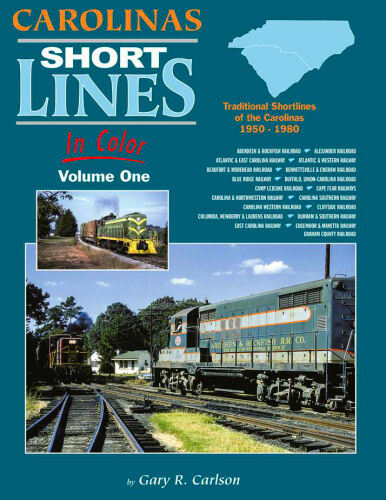 The traditional shortlines of North and South Carolina 1950-80. A&RF, Alex., A&EC, A&W, B&M, Blue Ridge, B,U-C, Camp Lejeune, Cape Fear, C&NW, CS, CW, Cliffside, CN&L, D&S, EC, E&M, and Graham County RR. Hard cover.